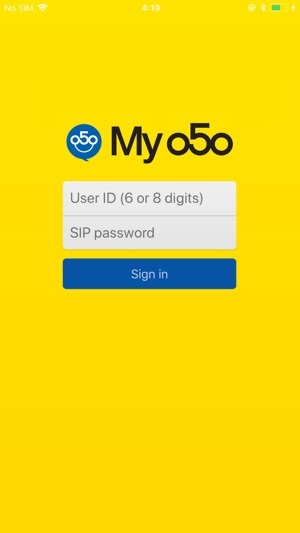 My 050 (formerly 050 Free) is a service that allows you to place cheap phone calls to regular phone numbers in Japan and any other country in the world. To get started, sign in with your Brastel account user ID and SIP password. If you don't have a Brastel account yet, or if you don't know your SIP password, enter user ID "new", tap the "sign in" button, and on the screen that follows, tap the "Set up / Get account" link. 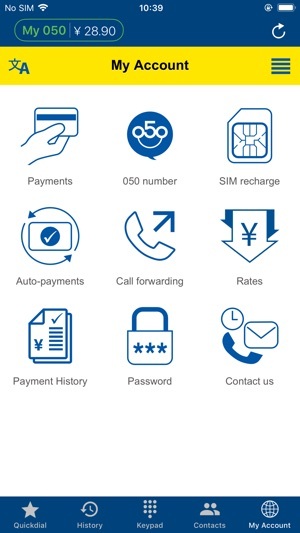 Add credits to your account (by credit card, PayPal, or at convenience stores in Japan) and enjoy some of the lowest calling rates in the market! Please note that in order for us to issue a 050 number, the law requires that we get from the user personal identification valid in Japan. At the moment, we can issue a 050 number for you instantly only if you can provide us with an SMS-enabled mobile phone number in Japan. Otherwise, to request a free account, please send us an email to english@brastel.co.jp with a picture or scanned copy of your passport (personal information and visa/entry stamp pages), or both sides of your Japanese driver's licence or residence card. If no valid personal identification can be provided, we can issue a Brastel account without a 050 number, in which case, all calls, including those to other My 050 users, will be charged. The account itself is free of charge, but please note that if there is no balance movement (balance top up or charged call) in your account for one year, your account will expire. ・ Improved iOS 12 compatibility. 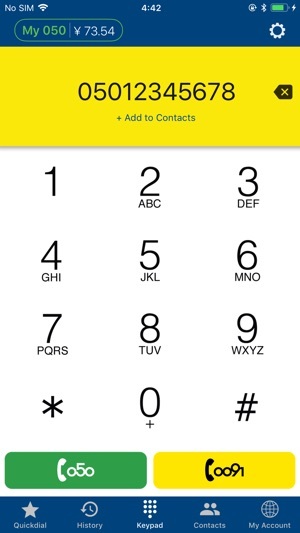 ・ Fixed a bug when handling multiple simultaneous incoming calls via push notification. ・ Several minor bug fixes and improvements. ・ Changed app name from 050 Free to My 050.